Numbers can help us understand some things about the health of a church. But they’re not the only thing. Small churches can be healthy churches. But how can we know if they’re healthy without the numerical growth to prove it? If you want to find answers, we need to ask the right questions. What if church size wasn't the primary – often the only – measure of church health? How many pastors would still say “my church stinks" then? Many pastors wouldn’t attend their own church if they weren’t the pastor. How do I know? I’ve talked with a lot of them. It's hard to disciple people when you can't even find volunteers. This simple process can help small churches do both better. The primary calling of the pastor is to equip God’s people to do the work of ministry (Ephesians 4:11-12). But it’s hard to do that when you can’t find any volunteers. When we treat the Bible like a collection of sermon texts, we can lose the wonder and the beauty of it. God’s Word is not a collection of sermon notes. It’s not a text book, a rule book, or a collection of inspirational quotes. That’s why I never go to the Bible to find a passage to preach on for Sunday’s sermon. Big churches matter. Small churches matter. When we work together, Jesus can do amazing things through us. Ninety percent of the churches on earth are under 200 people. Eighty percent are under 100. There may be no segment of the church that is more normative. But they may also be the most misunderstood. Small churches aren’t just for small towns. There are thousands of small churches in big cities and sprawling suburbs, too. But there aren’t enough of them. As Christians and as consumers of content, how do we balance wise discernment with forgiveness and grace? I’m going to say something stupid soon. When it happens, I hope people will give both of us the benefit of the doubt and assume the best of us, instead of the worst. We need to lean away from the church-as-business model and into the church-as-relational-community model. Love God and love others. Millennials won't build the kinds of churches their parent and grandparents built. Because Millennials are not a homogeneous demographic group, as we established in my last post, there is no secret key to unlock their heart and grab their attention. Our church's song list is not an evangelism tool. It's meant to glorify God and involve the saints in worship. Just when you think they’re gone for good, they pop up again. The debate is no longer raging, but it's not over. Probably never will be. decided to really say “yes” to God. 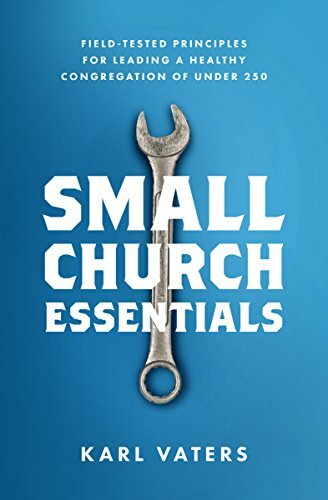 The stubborn, historical persistence of small churches is something God has done without our noticing it, and in spite of the fact that many of us have fought against it. How can one billion people be doing something without the world standing up to take notice? More specifically, how can one billion people be doing something within a very narrowly defined niche, and the leaders in that niche not value it?